Just few days ago, Oh! My Banana has been updated to 1.1.0 with new awesome characters. 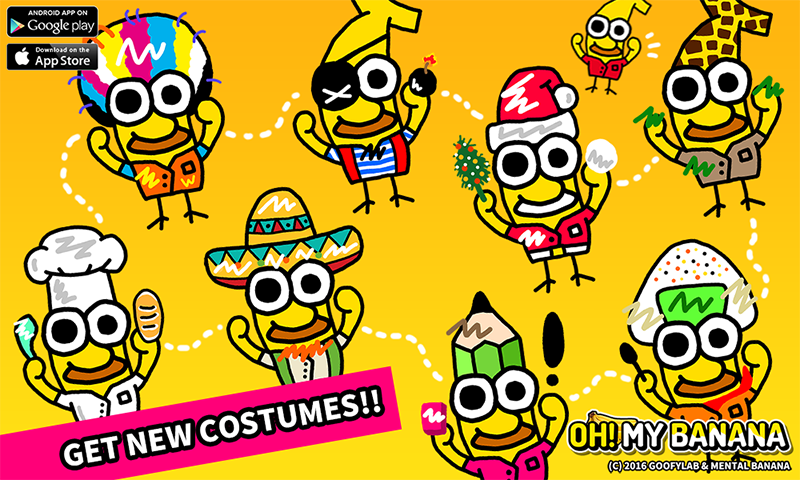 You can choose one of 8 costumes to play with, and there are lots of cute and adorable costumes that you may like. Each costume is very special and specialized for unique themes. Your lovely banana character will put on these everyday! This update also includes regular updates. 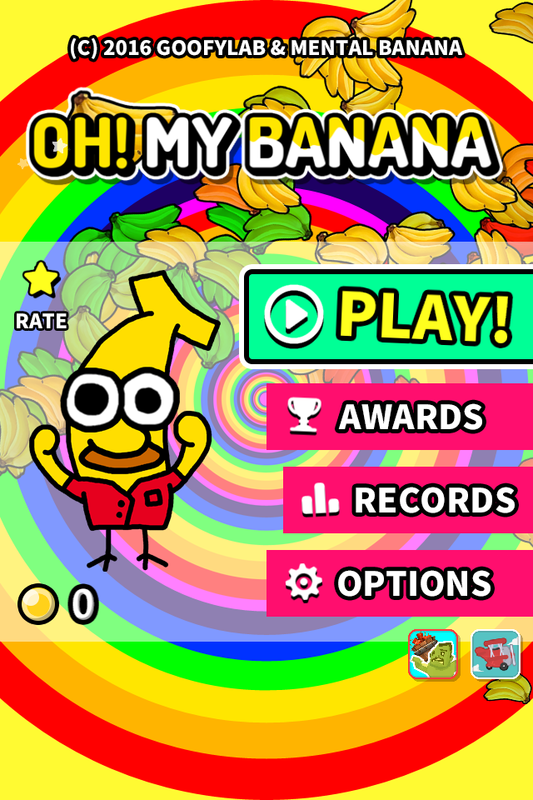 You may turn voice sounds off from option panel if you want to lose a chance to enjoy awesome banana voices. You can also skip the scenario scene easily by touching the screen when you are sick of it. One more, center point of hero also has been revised correctly. Today early morning, Oh! 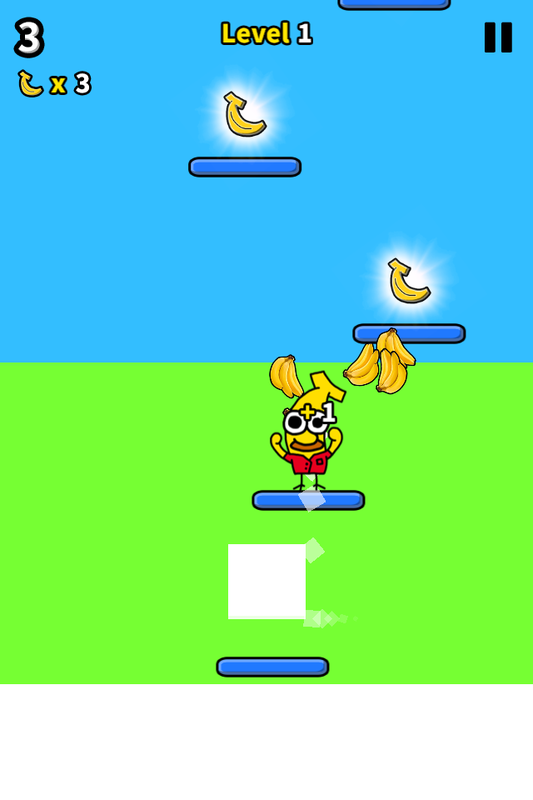 My Banana for iOS passed Apple’s review successfully at one go. It’s amazing because it took only 4~5 business days. Normally it takes more than 1 week, so this is big news for me. What a surprise! Furthermore, I also published minor update of Oh! 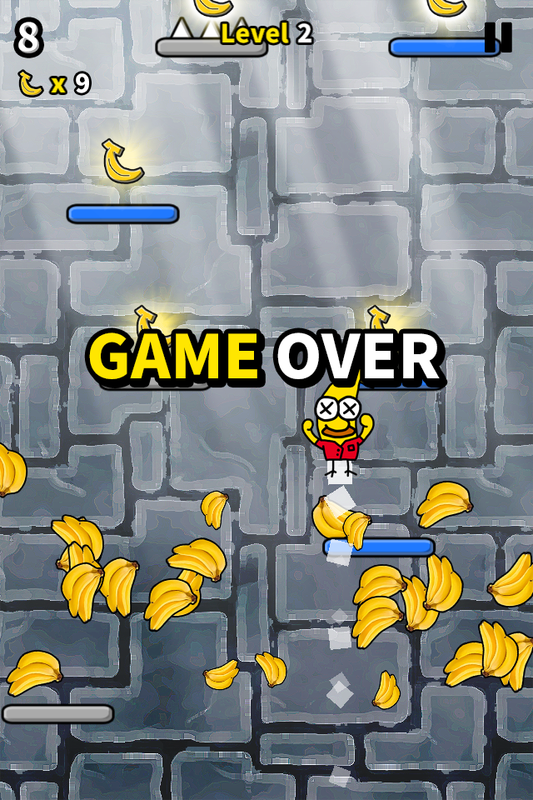 My Banana for Android platform first. New version is 1.0.1, and it includes new sharing feature and camera shaking. This update will be included on next iOS build, and there will be another update too for both Android and iOS platform. Keep calm and eat bananas! You can download Oh! 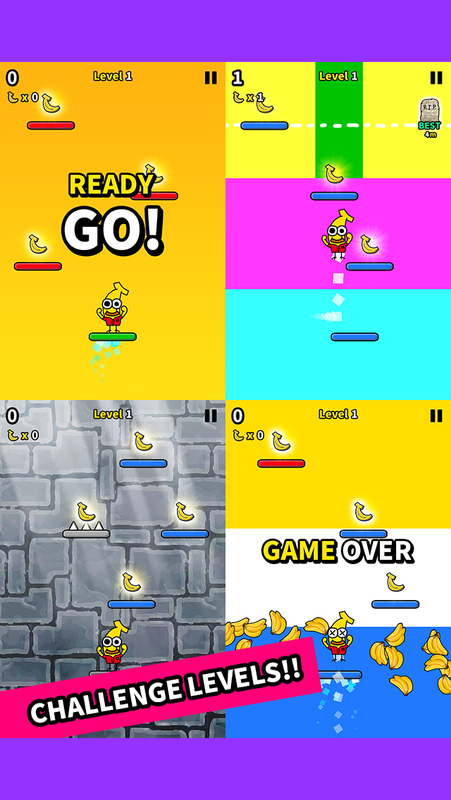 My Banana for iOS now from App Store. Ban is the name of him, and he is so cute. He loves to play outside and to eat banana everyday. His eyes are so big, and his arms are so strong. He loves everyone, and you can be his friends too! Hello! What a awesome day! 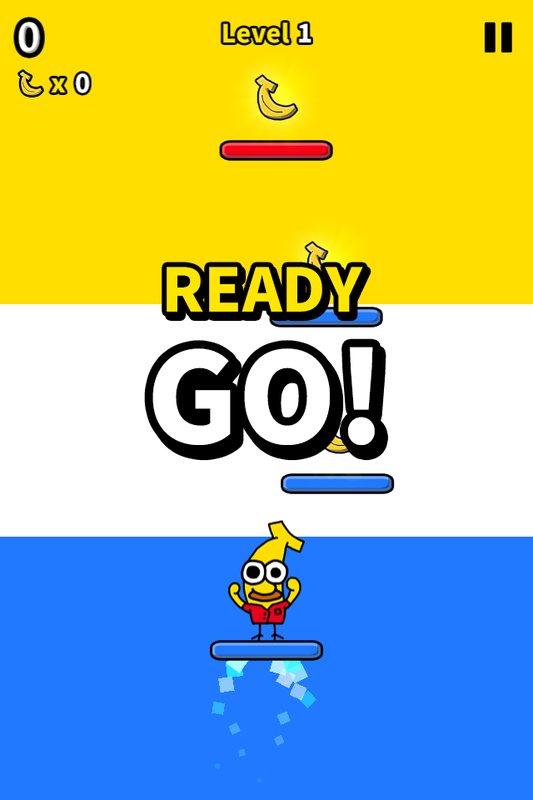 Today, I released my new game app, Oh! My Banana!! 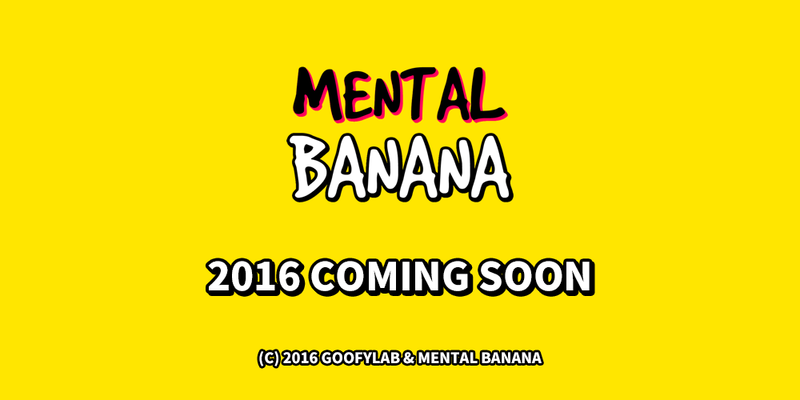 This is third project of Goofylab and a collaborative project with Goofylab and Mental Banana. 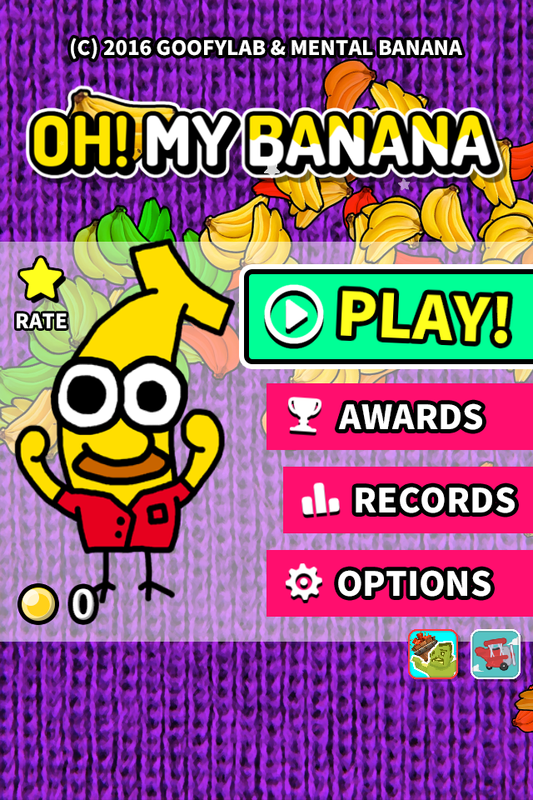 As I introduced before, we have a charming character Ban from Mental Banana for this game. “Oh! 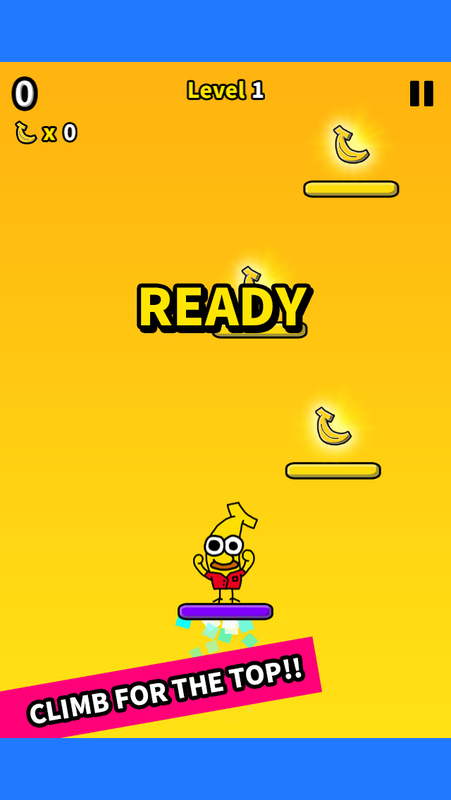 My Banana” is a simple and cute one-touch arcade mobile game. 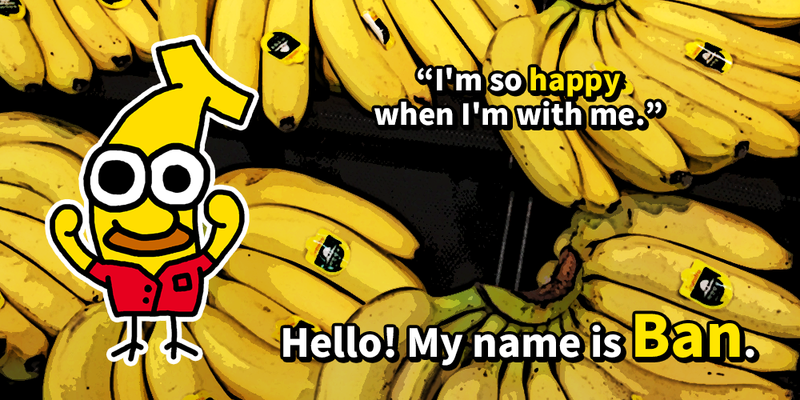 It’s inspired by yellow bananas, and I believe banana makes people happy all the time. 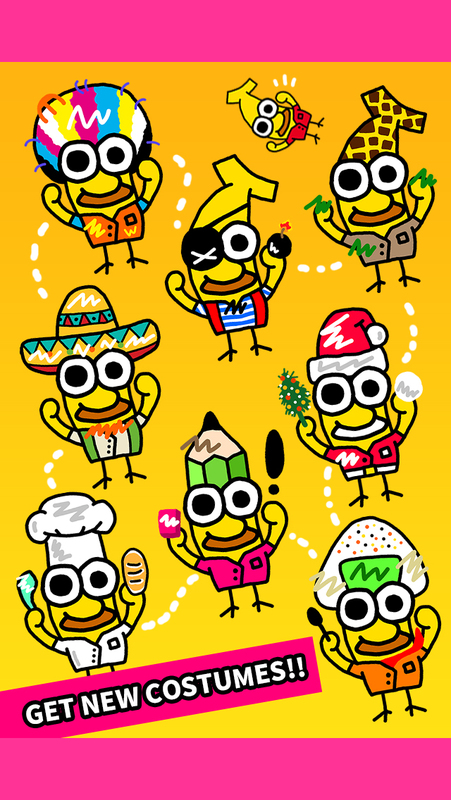 I love bananas, and people who love bananas or yellow styles will like this app too. 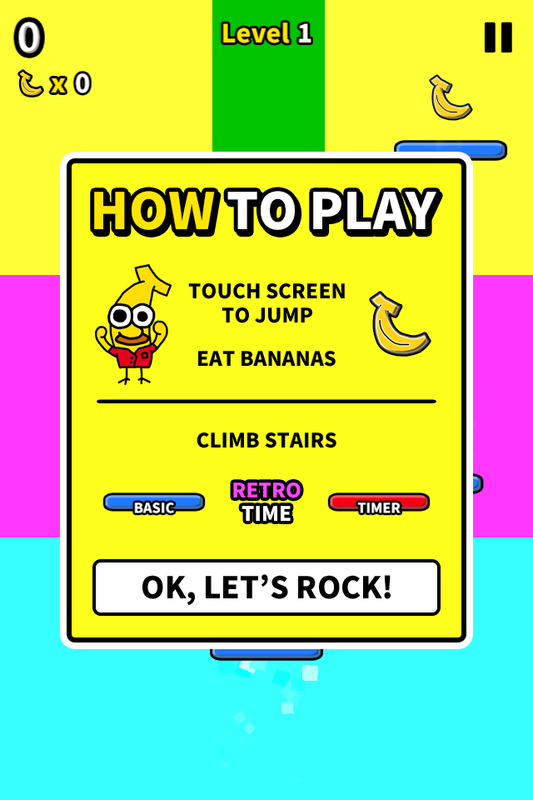 Ban is the main hero character that you should move and jump by touch the screen. He wants to climb stairs high and eat lots of bananas. Your goal is getting high place as you can by moving a hero Ban. This is very fun and simple for everyone. This time also, it is designed for everyone including even children. There are no violence scenes and sexual languages. Try playing this game with your children or friends. Oh! My Banana is designed clean and safe for anyone. I developed 6 unique platforms for stairs, however I launched it first with only 3 unique styles including basic platform. 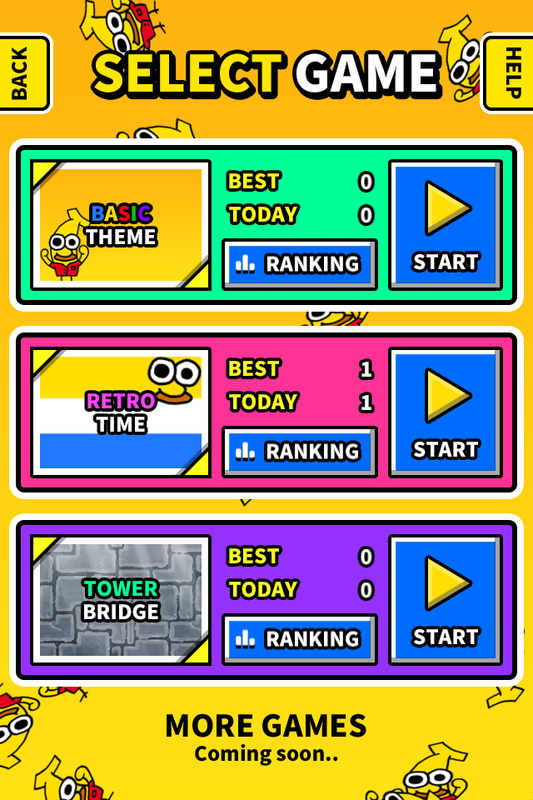 I also published 3 game levels first, Basic Theme, Retro Time, and Tower Bridge. 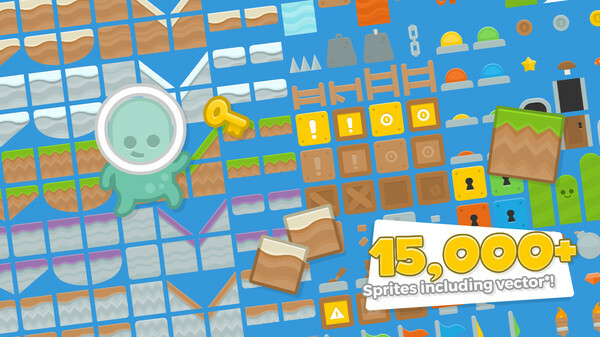 I’ll release and unlock those special platforms with new game levels. 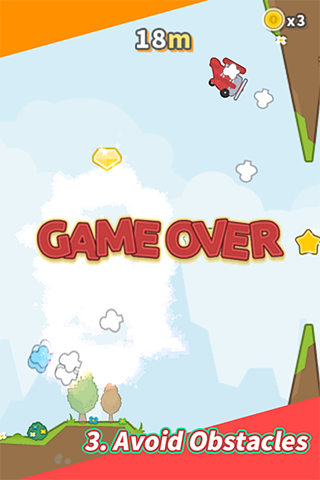 Moreover, you might imagine more platforms or special levels. They might be updated too, step by step. As you see, I tried to add lots of special themes and unique styles for user experiences. Finding special themes and guessing what those means are your joy too. I also have a plan for adding more awesome themes or gizmos. I prepared all the sounds and voices for this project too. When you play it, you will discover there are lots of funny and weird voices. I recorded all of them by myself with my tiny iPhone device. That’s all. There is no voice recorder or any music studio. I’m truely surprised that it’s still fun to record my weird voices for my games. As for background music, I used song “Happy Rock” from Bensound.com. His music is so awesome, and I’m so glad to meet his music and soul. I could easily use his music for Oh! 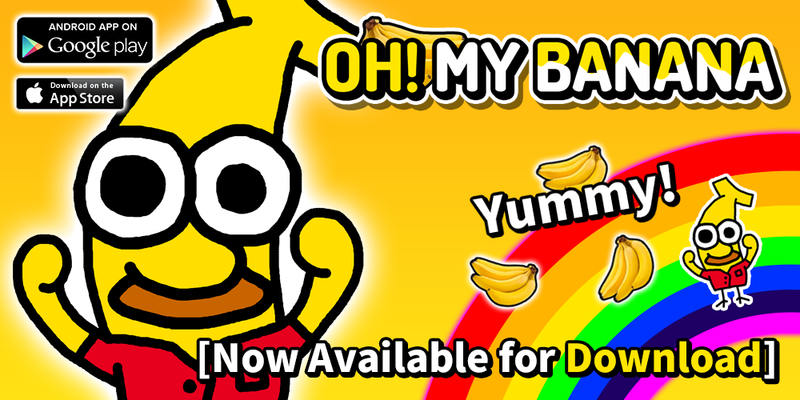 My Banana’s BGM because he published them with royalty free license. You can visit http://www.bensound.com/ for more information. You can download now Oh! My Banana from the market for free. Please download it, and tell me what you feel. Your review will be really helpful for me as an individual developer. Specially, it would be great if you show me your fan drawing picture for Ban character. Actually, I’m so moved for your any support. Let’s think of these gifts for me. – Your Download: I can have a lovely day. – Your Review: I can get a cup of coffee. – Click ADs: I can drink a draft beer! Please support Goofylab for more awesome games. 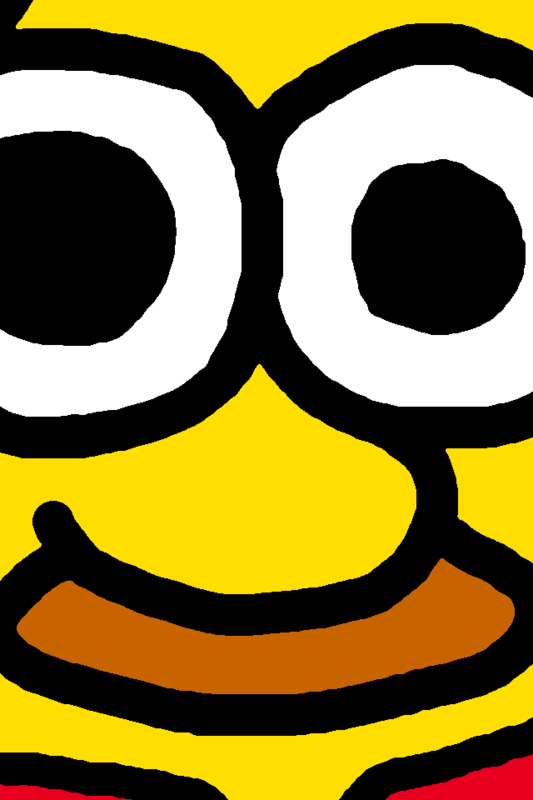 We love and believe in Yellow + Banana = Happy! It has been published on both Google Play and App Store for now. Mental Banana is a collaborative brand with Goofylab. It’s designed for fun and happy everywhere. Therefore, I will use this brand for contents which are in fun and happy concept. 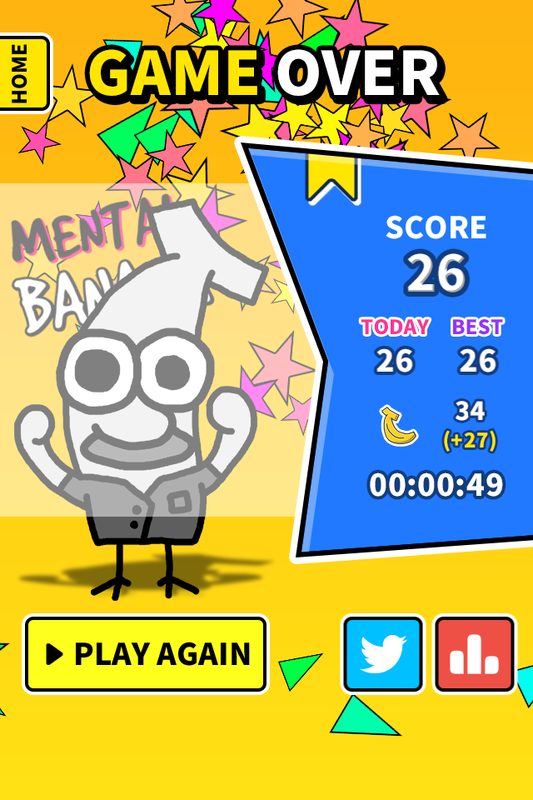 Now, I am working on new mobile game app collaborated with Mental Banana. This is a very cute and fun game, and it’s a little bit punk style. Like before, I’ll release this game for both Android and iOS in 2016. 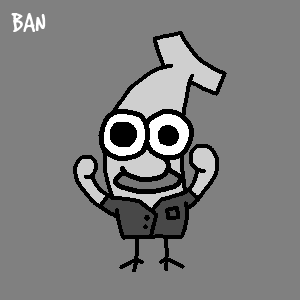 Today, I want to show Mental Banana’s main character, Ban. 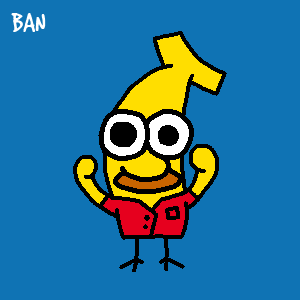 Ban is the name of him, and he is so cute. He loves to play outside and to eat banana everyday. His eyes are so big, and his arms are so strong. 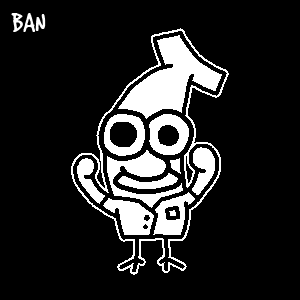 Ban is so happy even when he is alone. He loves everything, so he’s not alone. Everything is his friend, and he is happy. Hello, I’m running the indie game development label, Goofylab. 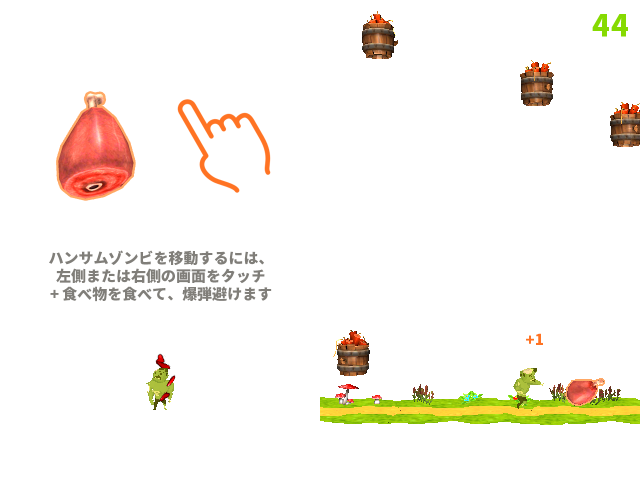 After I released first version of Hungry Zombie, I have updated it steadily. Now it supports multi-languages and social features like Game Center. And I also added special themes and 2x Mega Food for fun. You can get extra points by eating this. At July 21, I released Tiny Wright Bros which I have developed for a long time. As for this, I updated it a week ago. Icon and screenshots were changed to mint style and game was optimized with regular updates. It’s so peaceful game even children can enjoy. Lastly, I finally completed making the movie for Hungry Zombie. It’s a small movie for the introduction of this game and Seoul city. Enjoy watching the movie now. All of my game apps support 64-bit architecture for iPhone devices. Hello guys! Just few weeks ago, the second game of Goofylab was released. Tiny Wright Bros! I’m glad to introduce it here. Sorry for the late post. This game is very simple and easy for everyone. 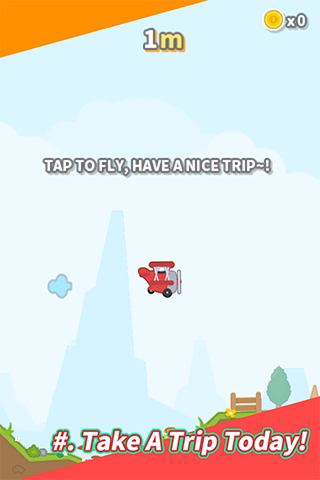 Tap to fly or your plane fall. It is basically same with other tappy games. I tried a lot of methods to jump and avoid objects but none of them were better than this. So I focused other stuff to make it fun. 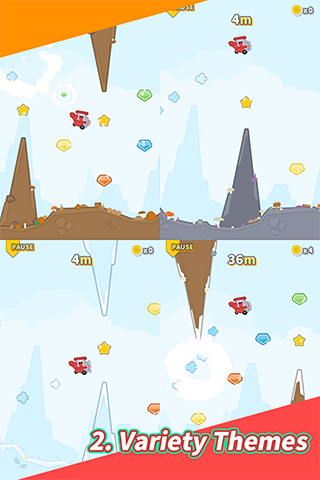 I designed all of levels and there are fully hand-made themes and also cute planes with retro-styled colors. “Damn, we’re out of gas! Let’s turn the generator by ourself. This game is designed for everyone including children. There are no violence scenes and sexual languages. I wanted it to be good and healthy everywhere. In fact I have developed it for a long time. This project was originally started before Hungry Zombie. It has 320×480 display resolutions and also letter box. I used Unity’s Sprite only and no additional libraries. It wasn’t easy to continue developing without Unity’s newest features like uGUI. I finished it anyway and it feels like retro style to me. This time again, my friend Jack supported the background music for my new game. His works are always amazing. It also has been developed with Kenney’s assets. Visit http://www.kenney.nl/ for more information about Kenney. Wright brothers wanted to fly and they succeeded in their dream job. Feel free and enjoy to fly the world with Tiny Wright Bros. I hope you guys all enjoy the flight together! It has been published on both Google Play and Apple App Store. 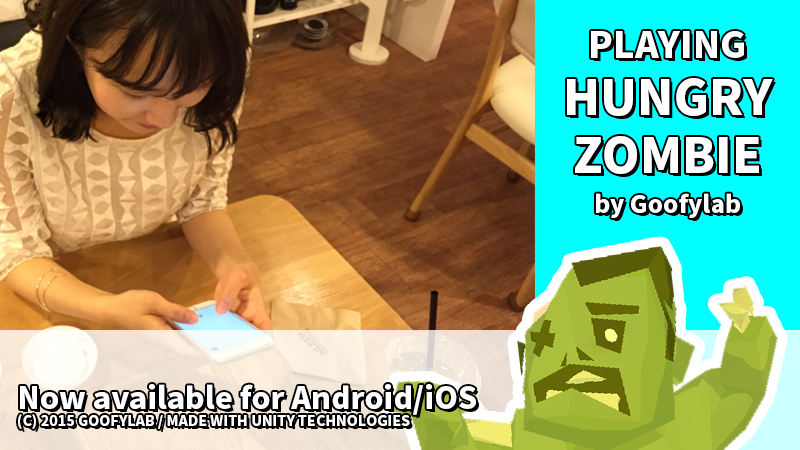 Yesterday, finally Hungry Zombie also released to Apple App Store for iOS! It’s big news and I’m so exciting about this. From now on, more people can enjoy my app and we can compete scores together! Because it took long time to pass Apple’s review, current released version is so early model of Hungry Zombie. I’ll update it soon like Android version. Please wait for more updates, there are so many features fun. If you have an iPhone or iOS devices, let’s play together now!